Be warned. After getting clothes for your minikins from The Silver Needle studio, they might be better dressed than you. It's never too early to be fashion forward, and The Silver Needle's collection of kidswear will just prove it to you. 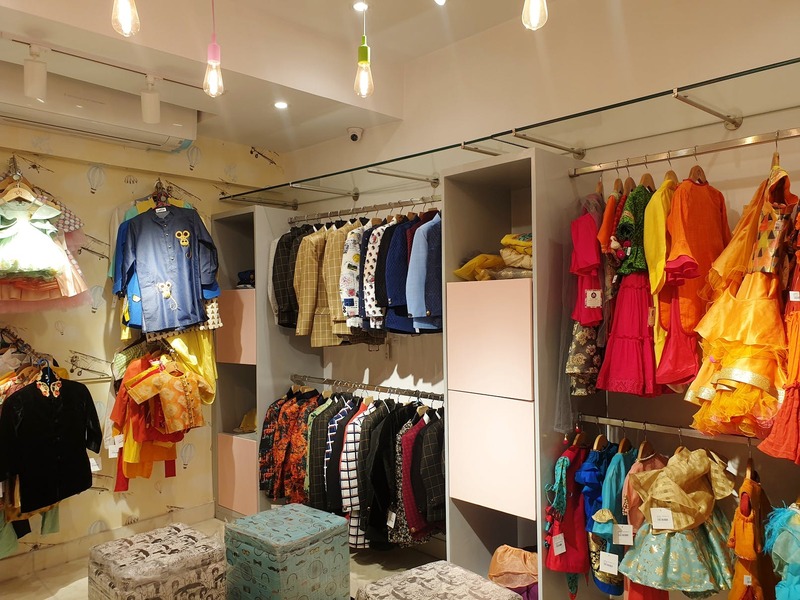 Hit up The Silver Needle's recently launched store in Sarat Bose Road, and you might be in a fix on what to pick and what not for your munchkin. Unlike their other store in Salt Lake, this new outlet has a separate section for kidswear. Stocks run the gamut from pretty puffy frocks, ghaghras and long dresses for the little miss to embroidered jackets, three-piece suits to kurta and dhoti sets for the little men. The clothes look adorable with cartoon characters, interesting little embroideries, pastel ruffles, interesting prints (check the kurta with ice cream print), and can pep up the look of your infants, toddlers to pre-teens. The tiny little lehengas and three-piece suits can be a great hit for the family function that is coming up, for summer tjough you can stock up on their simple frocks and cotton kurtas. We're giving them extra points for including infant wear in their range of slightly uncommon bespoke clothes. It's a small but strong collection, but we wouldn't mind a few more basics for our tiny tots to go by. If requested, you can also get your bubs customised clothes that fit them best.